"Oh, Dakuwaqa!" - The Shark comics and cartoons: "The Artist"
Once upon a time, I started a blog. At first, I did a cartoon every now and then to add some fun to the stories I wrote. Soon, I switched to a sketch blog because drawing, especially drawing cartoons, has been the only art-related thing I’m somewhat good at. This comic featuring a little Shark is my way of communicating my thoughts and as a creative outlet. And in hopes of becoming rich and famous someday. Looks like I'll have to die first. In a shark attack. And maybe discover something big before that. I have an engineering degree and an MBA but if I could do it all over again, I'd probably do art. I'm a bit introverted with the right amount of awkwardness a cartoonist is allowed. But I love being with my friends and family even if we do nothing. I like rainy weather if I have nowhere to be. I love anything with chocolate or chillies (or both) especially when I'm upset. Or happy. I enjoy reading, watching TV/movies/plays, good conversations - deep and otherwise, traveling and lots of other things. I'd like to do more about social injustices and other things that hurt and break our societies. Hopefully, art is one of the ways I can help. People are a bit curious as to why I have a shark (what they really want to know is how on Earth one could like sharks of all things) and especially one that doesn't do shark-ish things - like eat other creatures. These people need to know more about sharks. I've loved sharks for a long time. 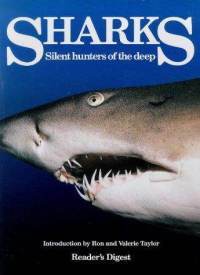 My dad has this awesome Reader's Digest book on sharks by Ron and Valerie Taylor that I would read every time I wasn't watching TV or reading other stuff. And then I watched "Jaws" and rooted for the shark (although I admit I was terrified at the end of it). But it didn't affect me in a way to go one of those mad rampages to kill all sharks. That's just stupid. People read "Red Riding hood" or "The three little pigs" and kill all the beautiful wolves. Pigs are meant to be eaten. Get over it. Okay, back to sharks...I started doodling this character back in college. I never thought that I'd be drawing it a decade later. Soon, I started creating other characters to fill my imaginary world. These characters were usually inspired by people I know. I draw them to vent how I feel or talk about things that one can somehow pull off if they're said by imaginary creatures or simply to escape now and then into a place that doesn't annoy me as much. 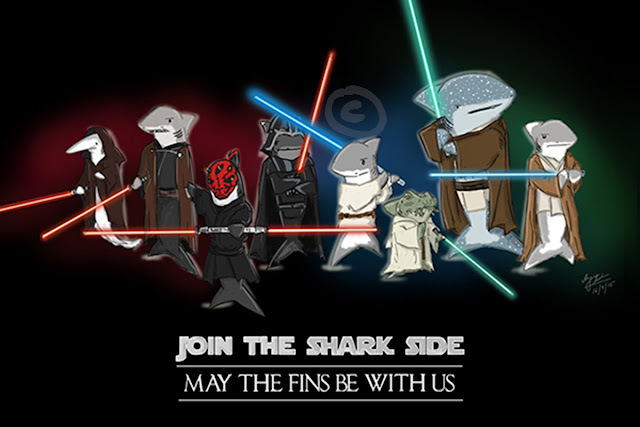 I'd also like to use cartoons and comics to generate interest in sharks and hopefully get people to find them to be the intriguing and amazing creatures they are. Too many sharks are being wastefully killed in a horrible way just for their fins. I hope people realise that it's not worth making them extinct. Pumpkin soup probably tastes much better anyway. For a bit more information about the strip (what's with the name etc), click here. ps - Gitanjali Sabu and Anju Sabu are the same person. My parents just like to confuse people who ask.